A new pool is the perfect way to beat the summer heat and spend time with friends and family. We offer full-service installation and service what we sell. FULL SERVICE IN-GROUND POOL INSTALLATION, SERVICE, AND FENCING. WE DO IT ALL! We offer free water testing and carry a full line of chemicals from Omni chemicals and salt chlorination from Pentair and Hayward. For everything in-ground, trust our skilled and knowledgable pool installation staff to get your first summer of owning a pool off to the right start. For when the leaves start changing and the weather gets colder we offer pool closing services and can install safety covers to ensure no accidents happen around your pool. With over fifteen years experience in the pool and spa industry, our team of professional installers can handle virtually any type of in-ground pool installation project. 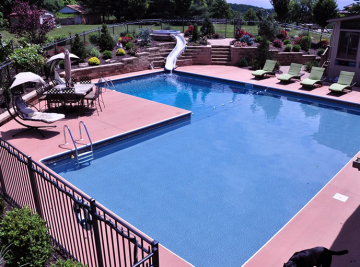 We are full -service and handle everything from excavation to installation to the hardscaping around the pool. We can even install secure fencing to ensure your friends and neighbors are safe around your new pool. Secure the longevity of your pool with a new liner replacement. We offer many different kinds of liners and accessories from Pocono Pool Products. Pocono Pool Products have produced over 75,000 pool liners since 1981. These liners offer a splash of style and are constructed from a premium vinyl material. Stop by our showroom to learn more and to setup an appointment with a pool installation specialist. For security, or privacy, our sister company All Secure Fencing offers full-service construction and can finish off the perimeter of your new pool with a sturdy fence. We carry a full line of Ultra Fencing/Railing and Weatherables by USA Vinyl. For more on our Fencing Division, head over to All Secure Fencing’s website. Trying to achieve the safest, crystal clear water for your pool? We offer free water tests and can offer expert advice as to which chemical treatments might be best for your pool. We carry a full line of chemicals from Omni and also offer robotic cleaners and automated chemical management systems from Pentair. Whether you are starting the season, or preparing for winter, we offer on-site service to get your pool ready for the changing seasons. Call us at 570-322-8024 to setup an appointment. We service what we sell. 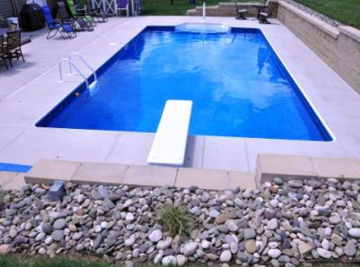 Our specialty is in-ground pool installation and have been servicing pools for over 15 years. 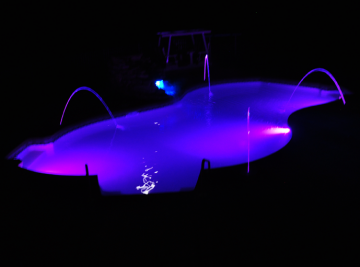 We have the knowledge and expertise to help get your pool back into shape for the summer. Let us know your plans for a pool and we’ll prepare an accurate quote outlining the timeline, installation, and when you can take your first dip in your new pool.